I love to read, so books are always welcome around my house. A good, fun read gets me even more excited, so I'm thrilled to introduce this great new book. 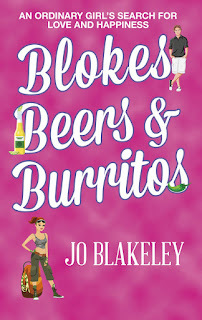 Author Jo Blakeley has just released her debut book, Blokes, Beers & Burritos. It's a thoroughly entertaining book which uniquely combines travel, saucy women's fiction, and self-help all into one, which is based on the author's own experiences. The book tells the story of Cath Brown as she travels around Central and South America for a year. Cath is a twenty-something who is fed up with her job and has grown tired of her messy life, which includes falling for a string of unsuitable men. She gets dumped on her birthday and this turning point sets her off on her adventure. As Cath travels around, she starts to receive mysterious emails from someone known as The Bliss Expert, who promises to send her the "Ten Steps to Bliss" over a period of time. The Bliss Expert says that these steps will give Cath everything she's always wanted: purpose, love, hope and happiness. Cath is skeptical and wonders who is behind the mysterious emails, but she decides to keep an open mind. Readers can follow along with Cath as she follows the steps and also try them out for themselves. This is the unique twist with Blokes, Beers & Burritos. At the end of the story, there's a section called Personal Study, which lays out the plan and readers can go through the steps at their own pace. I love this bringing together of fiction and self-help. The book asks, and provides answers to such questions as “why we get trapped in unhealthy relationships”, “why we use external vices to feel better about ourselves”, “why we compare ourselves to others” and “why we beat ourselves up for not being good enough”. The author is onto something here. This is a really enjoyable read. I found myself being drawn into Cath's story while I was also thinking about the truths raised by the book. It made me think of how I could perhaps do better in my own life. I love this book! For details of Jo Blakeley’s online and face-to-face courses that help women achieve empowered, happy, healthy and successful lives, visit www.TheBlissExpert.com. The first module of the “Ten Steps to Bliss” is free. 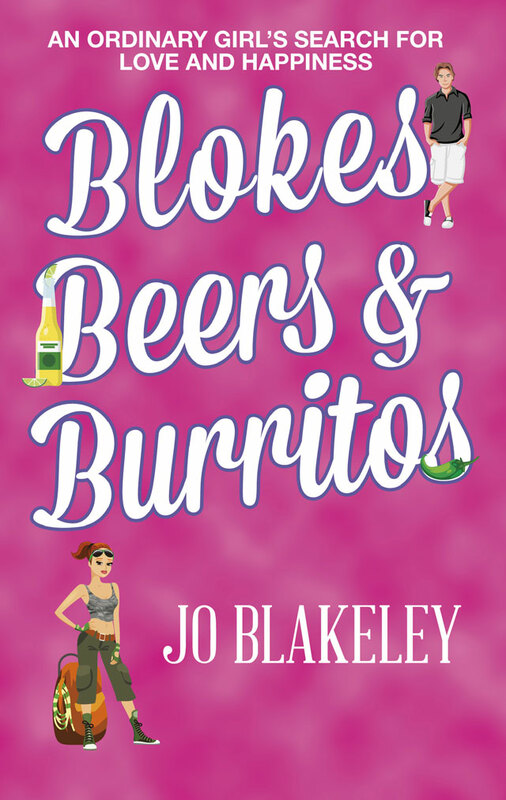 "Blokes, Beers & Burritos" is available on Amazon Kindle and in paperback format. *Disclosure: I was sent a copy for review. All opinions are my own.